Workers quickly shift from collaborative work to focused work and back again. 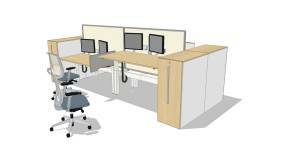 The Divisio™ side screen allows workers to personalise their space based on the type of work that needs to be done. 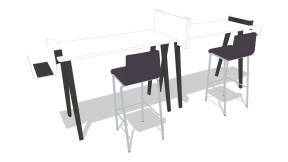 The Divisio side screen provides privacy for users, with a height that does not prevent impromptu collaboration. 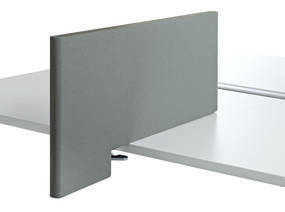 The user movable side screen features a 200mm overhang off of the worksurface for additional peripheral privacy. A commercial illustrating how users can easily move the Divisio side screen. 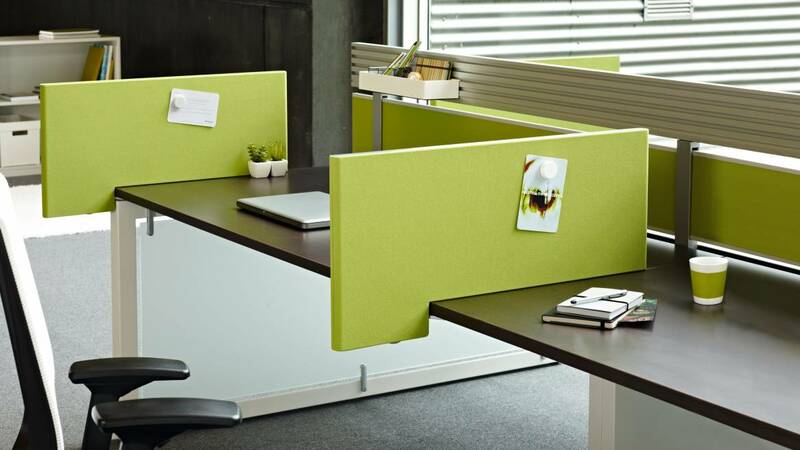 The Divisio side screen allows workers to adapt their space instantly without any tools; they can remove the screen to facilitate collaboration or add it on any work surface to create privacy. 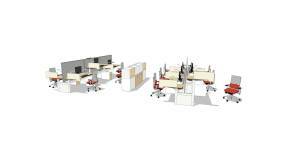 Divisio allows users to personalise their work space to meet their needs. The fabric-wrapped, magnetic surface can be used for visual display while supporting a wide range of aesthetics. The finger-trigger clamp fits on any worksurface from 19mm to 38mm thick, allowing for flexibility across multiple furniture solutions. Available in 3 different fabric collections and many colours.